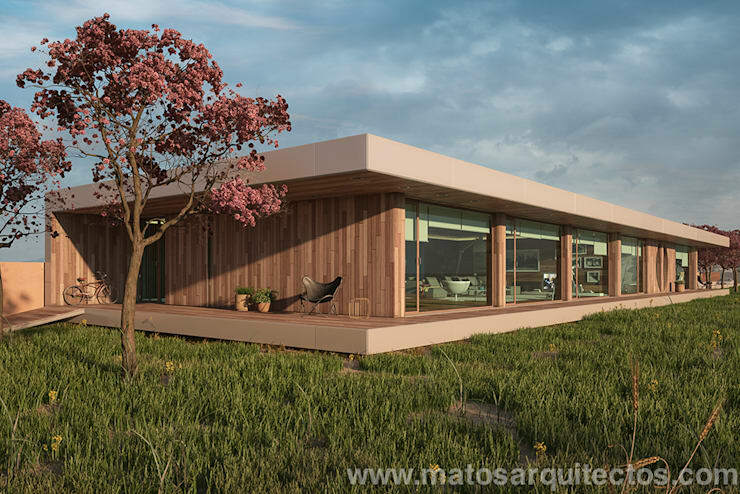 This beautiful cedar timber exterior home, situated on the banks of the Tagus River, just south of Lisbon, Portugal, is modern, gorgeous and attractive. 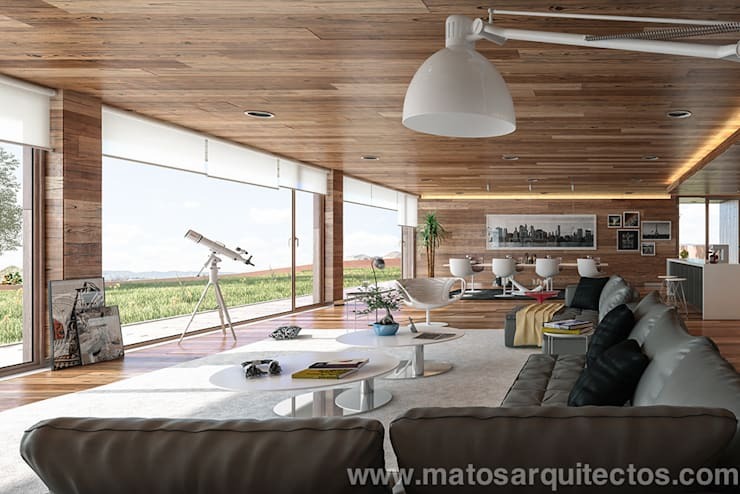 The home has a relaxing and comfortable nature loving setting, perfect for its retired owner, while the architects at Matos Architects, ensured that the exterior and interior have a flowing and open atmosphere that is inviting and cosy. The use of modern fittings and natural materials completes this stylish home. But, let’s take a closer look! The one storey home with its flat-topped roof, timber clad walls and glass exterior make this structure an interesting feature in this landscape. The villa has a simple, modern and minimalist style that takes into account the natural environment and features. It blends in perfectly with the surroundings too. 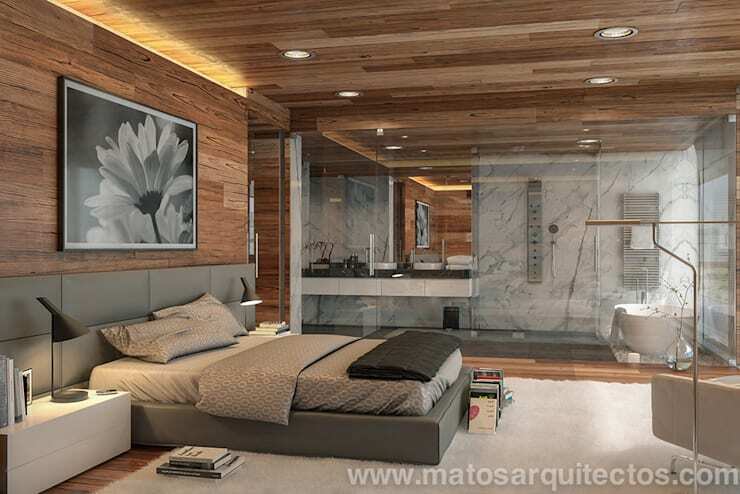 The open plan living area of this beautiful home shows off the elegant timber walls. It’s dramatic and functional, while allowing for unparalleled views of the gorgeous natural surroundings. 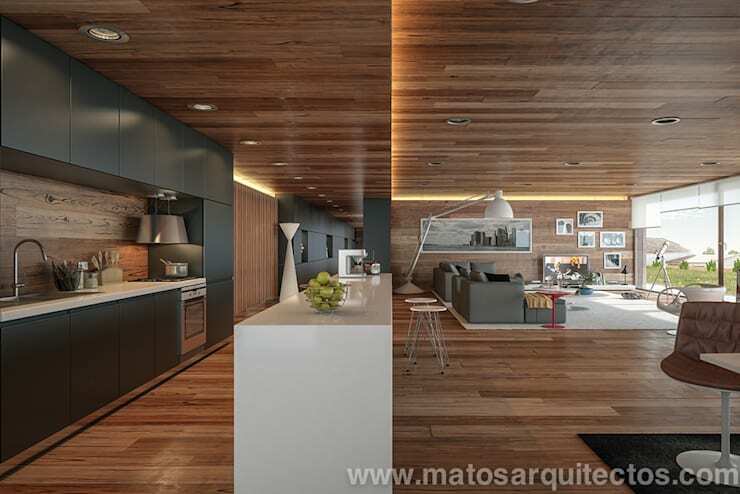 This interior is aesthetically pleasing with a modern take on a wooden rustic fascination. The home is comfortable from all angles too. The kitchen with its appealing modern appliances and chic countertop divides the room in working space and relaxing zone. This perspective shows us just what this home owner holds dear. The beautiful interior, along with the stunning view of the landscape. This homeowner clearly enjoys the elegant things in life, which includes star gazing in this rural location that is free from light pollution and the city. Just enjoy the natural sunlight that streams into this home warming it up and making it cosier. 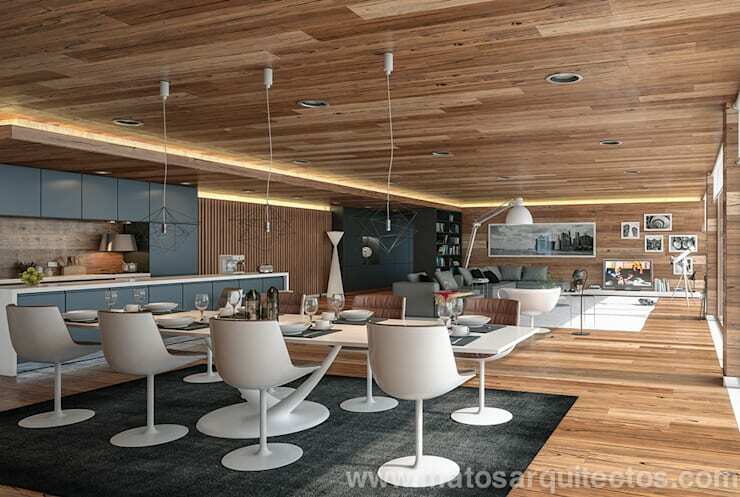 This kitchen, living room and dining room combination is great for contemporary and stylish homes. The modern furniture, neutral tone of the interior and comfortable trendy style make this minimalist and eclectic open plan living area different and unusual, while being functional too. The white dining room chairs, along with the wooden surroundings and darker accents make this room an artistic yet designer feature. Imagine the social occasions and entertaining conversation that can be enjoyed here over a delicious meal. We have reached the end of this Ideabook, but this final image shows the chic bathroom in all its glory. The half-moon window allows for unparalleled views of the river while soaking in the tub and because this home is situated so far from neighbours, there is no worry about prying eyes. 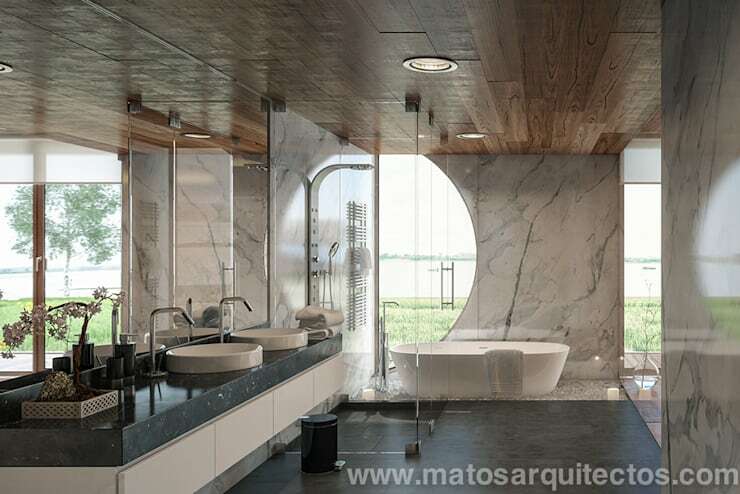 The wood creates a warm and cosy interior that is stylish, while the grey marble walls and modern fixtures makes this bathroom soothing on the eyes. Which rooms of this beautiful home did you like the most?